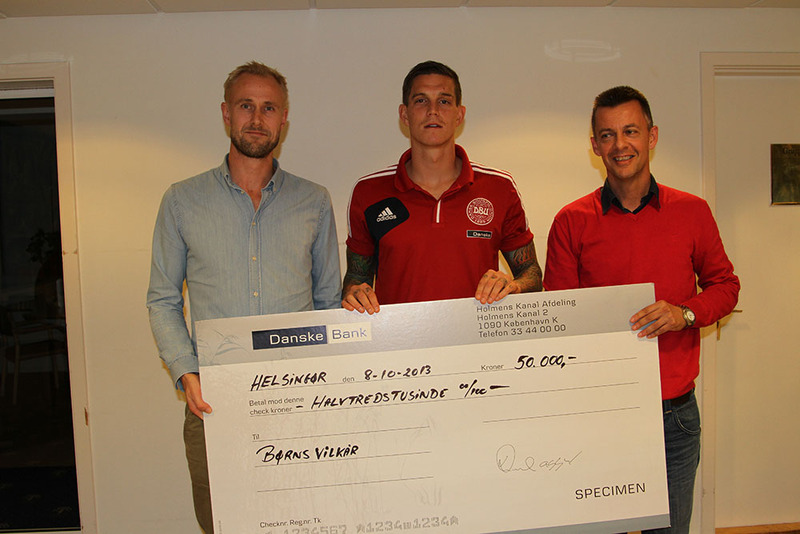 In connection with the international matches against Italy and Malta, Daniel Agger met representatives from Børns Vilkår to present a donation of kr. 50.000-,. Børns Vilkår offer advice to children and teenagers on the Children’s Phone (Børnetelefonen). Their teaching department gives presentation and well-being projects at schools. They advise parents, relatives and childcare professionals and help children and teenagers when they attend a children’s interview in the municipality and in state administration. The donated funds went to the Children’s Phone, which last year advised 30,000 children and young people. The aim is to reach a total of 36,000 consultations in 2013, which will be a record. It costs 35 kr. 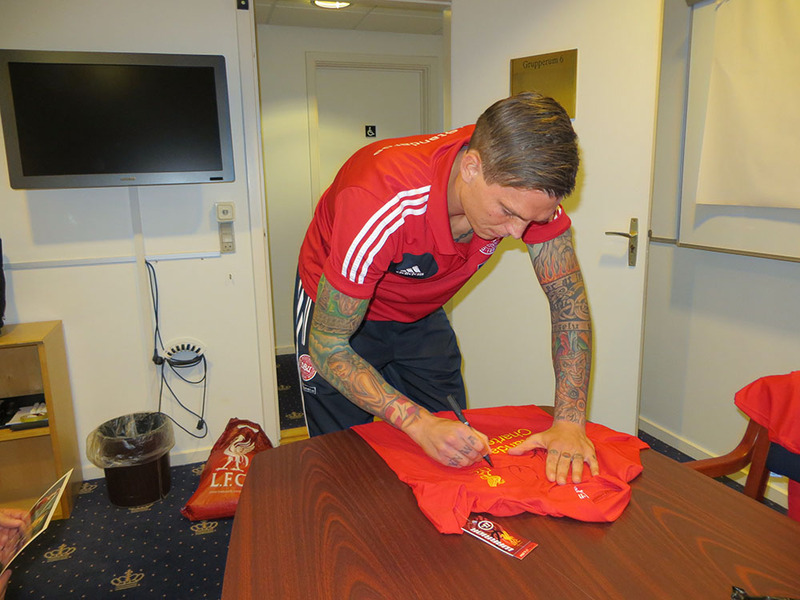 to answer an additional call on the Children’s Phone, so the support from the Agger Foundation corresponds to the volunteer advisors on the Children Phone to answer another 1428 calls!